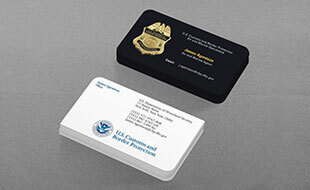 Kraken Design delivers durable, high quality professional business cards to law enforcement organizations nationwide. Interested in high quality cards for you or your organization? Tear-resistant and water-resistant, matte silk cards look great and have added durability unlike traditional paper stocks. High-end electronics, such as those from Apple and Bowers & Wilkins, utilize silk lamination on their product packaging for a unique and premium feel. 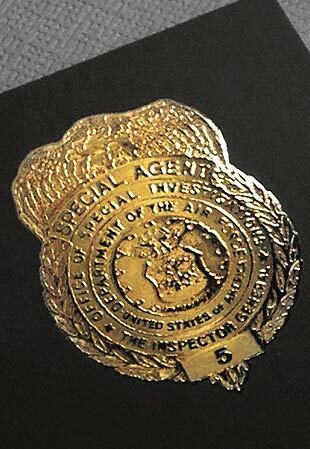 Spot UV offers a unique and dynamic alternative to foil, giving the versatility to add a tactile quality to the intricate details of the badge artwork. Applying a shiny gloss to complement the smooth matte silk, details such as a custom badge number as well as contact info can be raised for a memorable impression. Choose from a variety of paper and finishing options to make your card stand out. Upgrade to Spot UV to add a raised dimension to badges, logos and seals, text, and pictures for a one-of-a-kind impression. 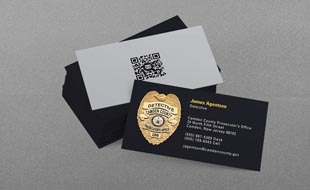 Rigid, thick cardstock with a non-reflective matte finish for a clean professional look. Ultraviolet (UV) coating applied to the front of the card provides a highly durable finish while also adding an extra layer of thickness to the card and bringing out richer colors and sharper resolution. Silk Lamination adds a soft, silk-like texture which is both water-resistant and tear-resistant. 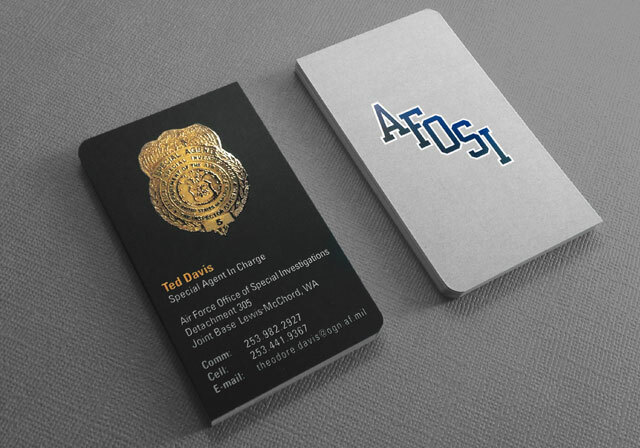 The distinctive feel is unlike regular printed business cards. Combined with the precise applicaton of Spot UV (a unique and dynamic alternative to foil) to intricate details of the design, this configuration makes for a highly memorable, as well as highly durable first and last impression. Round one, two, three or four corners. 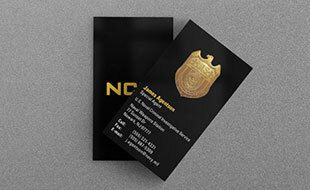 Rounded corners give added durability to the corners of the card and a professional touch. Kraken Design is a graphic design company based in Olympia, Washington. Working on a spectrum of projects ranging from print (graphic design, unique and innovative business cards and stationery) and digital (website design and motion graphics). Sales are restricted to authorized U.S. Law Enforcement Agents/Officers and Personnel. © 2019 Kraken Design All rights reserved.